Two more boss kills!!! And two more moments of forgetfulness from me!!! They really have to let boss corpse's remain after looting. 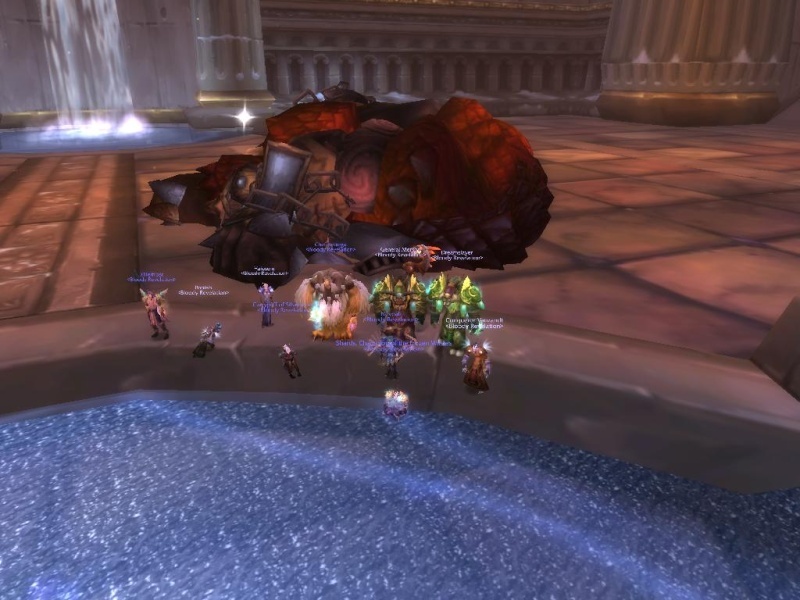 Proud to announce that Bloody Revelation has now downed the Iron Council (After 6-7 wipes) and Kologarn (2nd attempt)!! 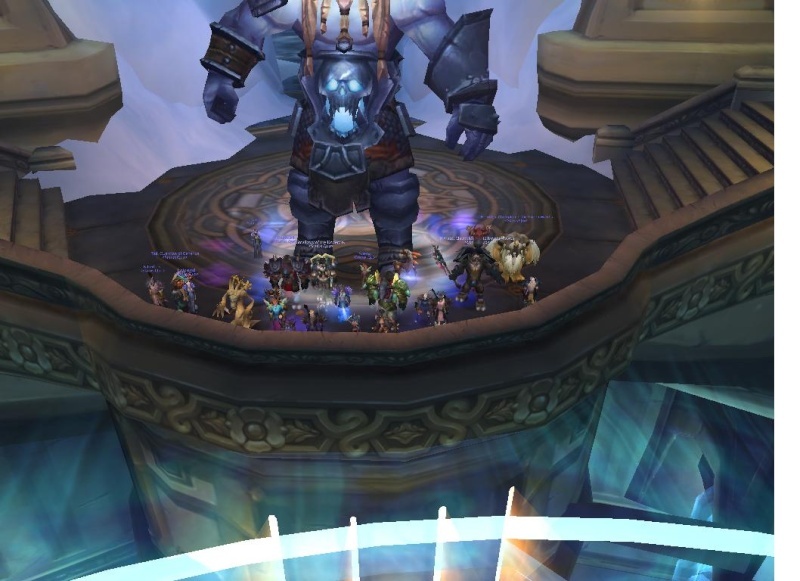 Great job guys, now left with Ignis and Auriaya we would have cleared two sections/wings and pretty much half of Ulduar! Ignis Downed!! 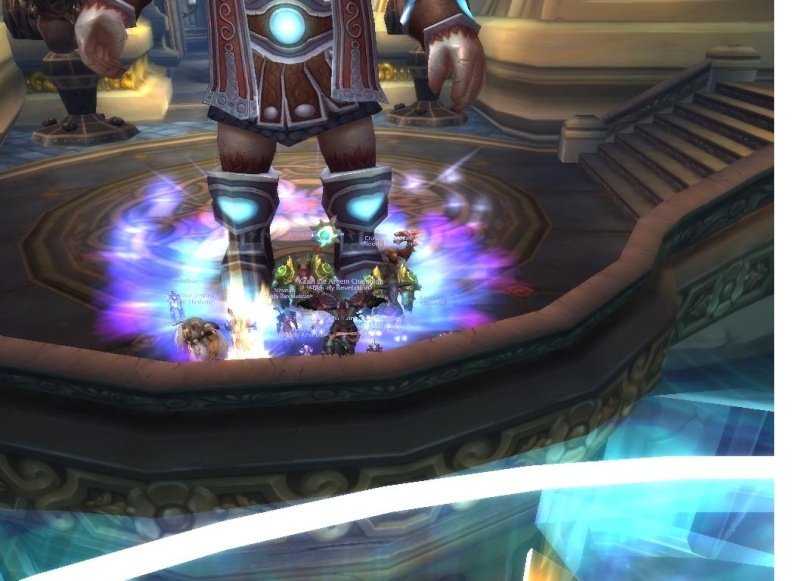 Meaning we have cleared the first quarter of Ulduar. 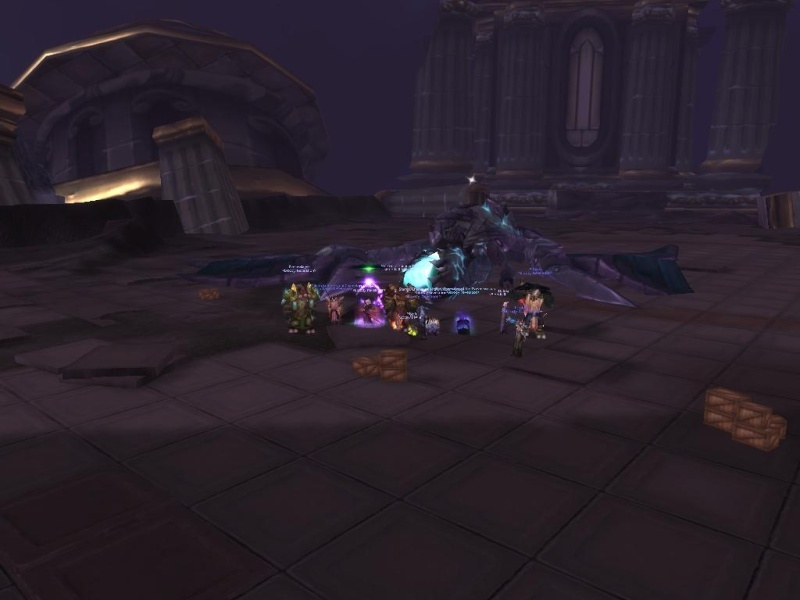 Auriaya Downed! 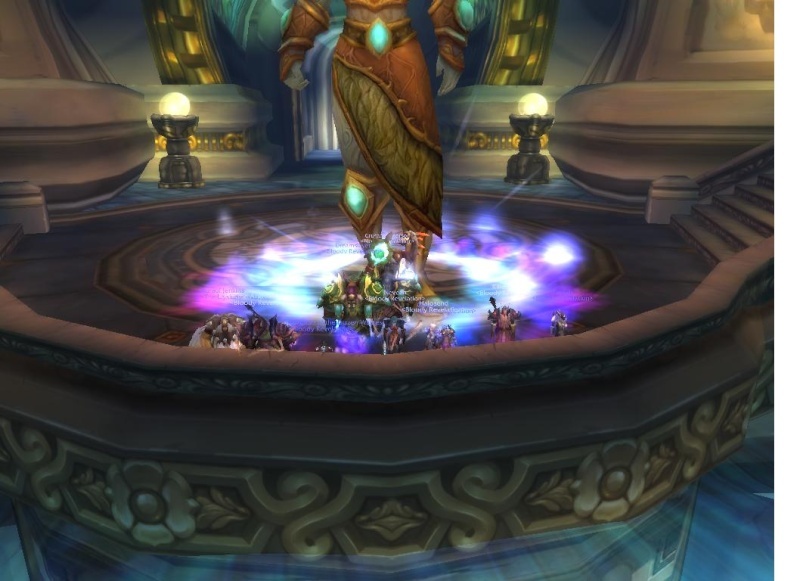 Half of Ulduar Cleared! 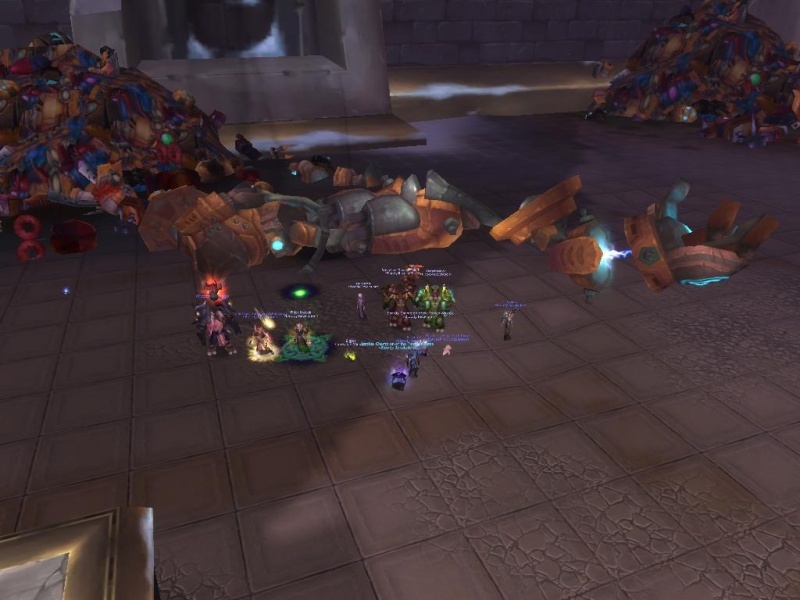 Two more boss kills to report! This might be our last 'Bloody Revelation' raid before the merger goes through. 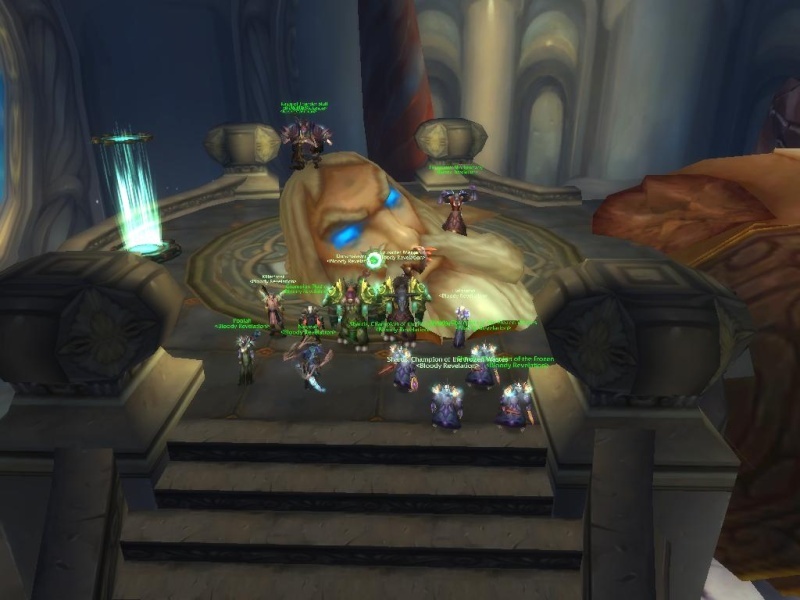 So it might be same time before I get to post kills under this website, but if the chance permits for us to go as a 10man into Ulduar again for progress, I'll continue to post again. Unfortunately for Keeper Kills, we do not get to kil them, they just need to get below 1% for the kill. So the SS is slightly different from the rest. All that remains are 4 more Bosses of Ulduar + 1 extra boss. So read up Hodir, Mimiron, General and Yogg Saron if you have the chance. Merson wrote: Status Quo Downs Hodir! !